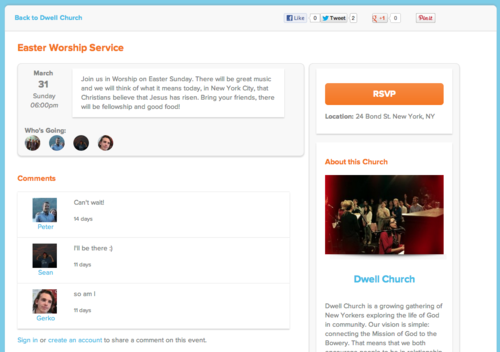 Churches can now share events on their profile. When a church seeker visits a church profile, this is a great way to give them other opportunities besides the Sunday morning service to discover your church. This is a great way to keep church members updated as well! Events are a big part of the church community, and we’re happy that we can help you communicate them better.